i was at the versova koli seafood a few days ago, to cover it for mumbai mirror online. and this display in front of one of the stalls caught my eye. 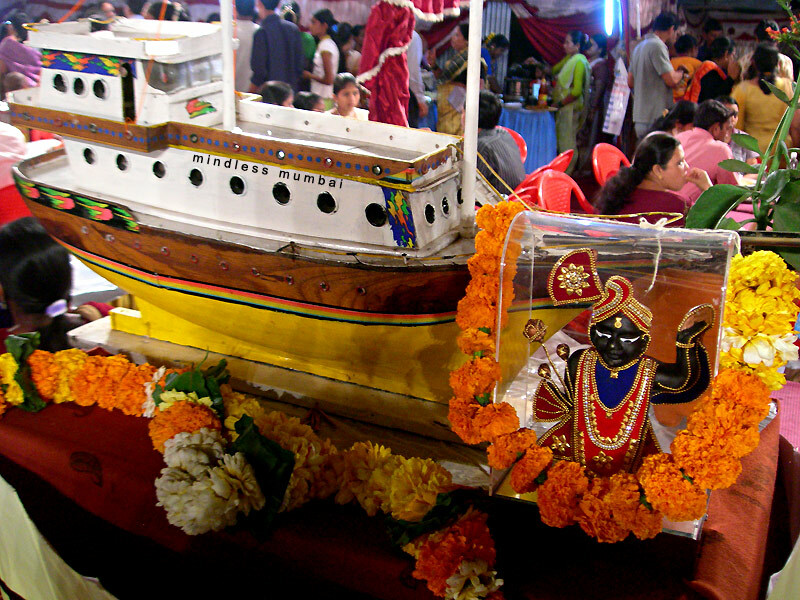 now krishna isn't usually associated with the fishing community. what's even more surprising is this particular form of krishna, with the arm raised up is referred to as shri nathji, and it's a popular vaishnavaite sect amongst gujaratis, marwaris, kutchis and some sindhis; with the main temple at nathdwara, near udaipur in rajasthan. the worship of shri nathji is quite limited to these groups, and it's rare to find the icon anywhere other than vaishnav havelis. i wonder what's the connection between the link between the kolis and shri nathji.